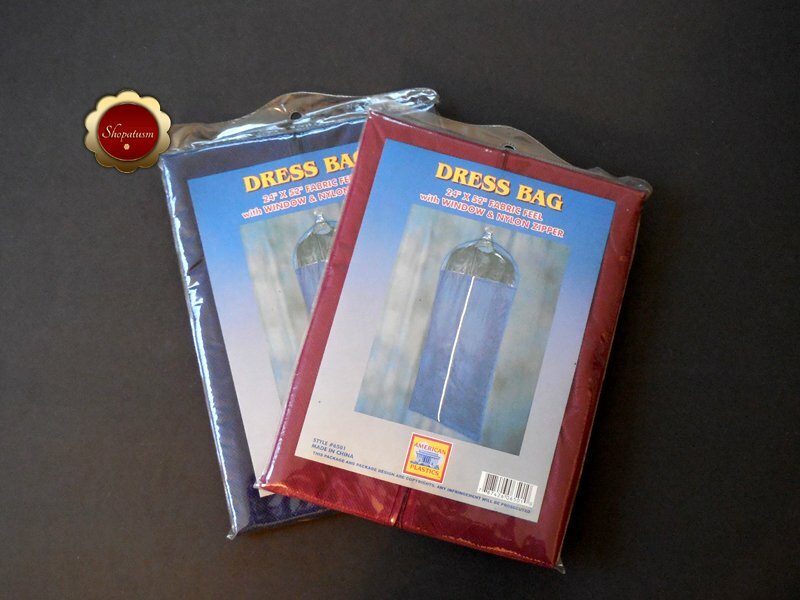 Red & Blue Garment Bags Fabric Feel Breathable Dress Bag 24 x 52. This is for 2 dress Garment bags which has a nice fabric feel that is breathable for your garments while protecting them from dust. Has a nylon zipper with a plastic clear window. These are nice high quality garment bags. This is for one navy blue and one red wine color garment bags.